Time travel is hard; first there is the technological bits and bobs to work out and then consider the ramifications of your actions in the past and their ripple effect throughout time and space… tearing a hole in the fabric of human existence. Thankfully this movie really has nothing to do with that. 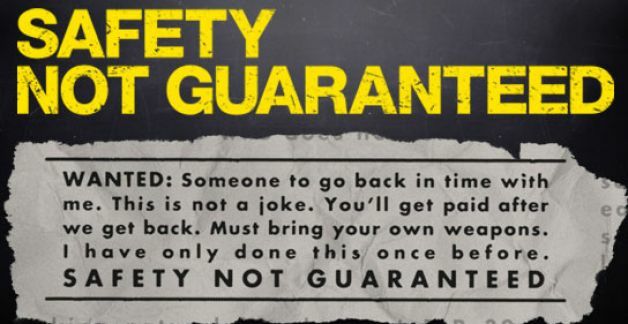 Safety Not Guaranteed is a character study. Darius Britt (Aubrey Plaza) is a woman adrift in her life in Seattle, working as an intern at Seattle Magazine. When Jeff Schwensen (Jake Johnson) a writer at Seattle Magazine wants to investigate a classified ad requesting a partner to travel back in time, Darius’ interest is piqued and she volunteers to go. We soon meet the man behind the ad, Kenneth Calloway (Mark Duplass) a jean jacket wearing, mulleted, youth trapped in an adult body. Darius is drawn to him and convinces Kenneth to take her on as his partner. As the two train together, preparing themselves for the “heat” through weapons training and martial arts, the attraction is obvious. 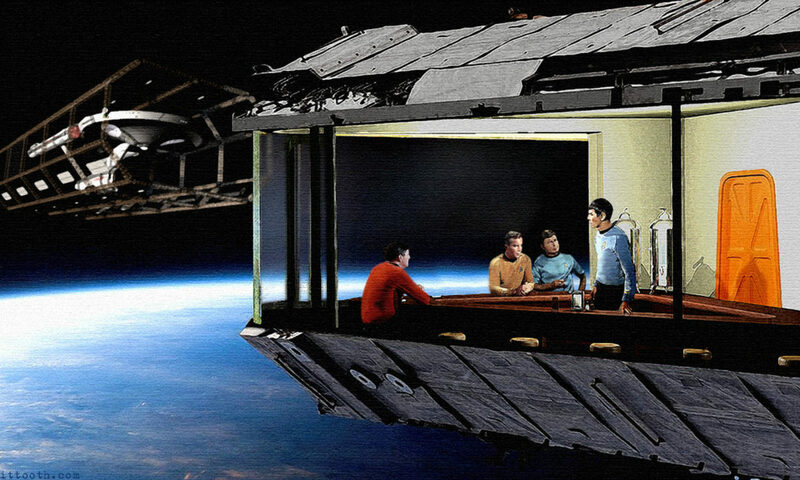 However the question lingers throughout – did Kenneth really build a time machine? The characters in the story are pretty great, although Jeff’s character is kind of a tragic waste who you want to like but can’t because he’s a tool. Mark Duplass plays Kenneth with a strange seriousness, one part adolescent and one part adult – balancing the absurd premise with a very human motivation. Aubrey Plaza is fantastic as the husk of a woman who finds life again as she gets rapped up in Kenneth’s world. There is swearing, drinking, and carousing in this movie (pretty much all Jake Johnson’s character Jeff), so be aware and the ending for some reason fell a little flat for me. I think it showed too much, unlike the rest of the movie where things were vague and mysterious. Some ambiguity at the end would have worked great. Should you watch Safety Not Guaranteed? I’d say, if you like Napoleon Dynamite or Cohen Brother’s films then you’ll probably enjoy this character driven comedy. Its quirky, its not necessary laugh out loud funny, but you will giggle a little. Shmee reviewed the book Ark Royal by Christopher Nuttall back in February and he liked it. Because of that review I read it as well and also liked it. 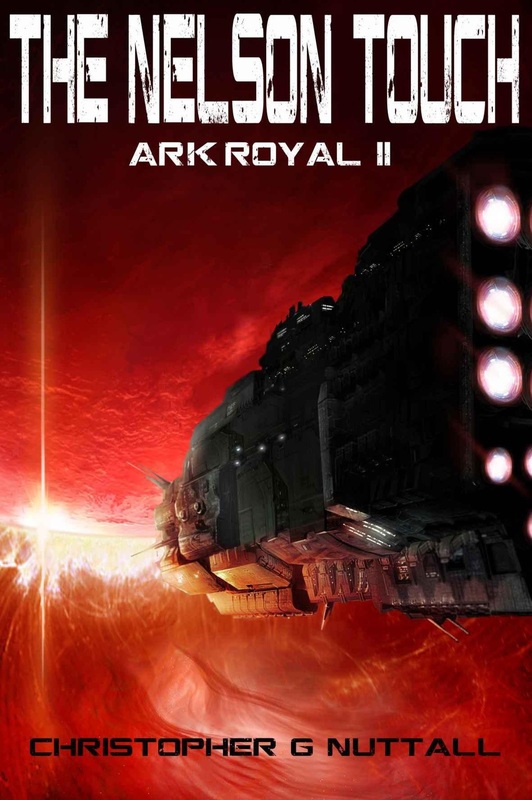 Recently I came across the sequel, The Nelson Touch (Ark Royal II) in Amazon’s Lending Library, so I was excited to read what happens next. So does The Nelson Touch have the touch? Well, yes. It’s as well written as the first book, with good plotting, characters, and military tactics. If I had to criticize I would have to say that the ship itself lacks the character that made it interesting in the first book. It was the old warhorse that no one could bring themselves to put down; cobbled together with Chinese computers, running French software, to run British systems. It always felt ready to fall apart, but it was more intimate and interesting in that first book. In this book the ship doesn’t get much love and just becomes another ship. I also felt some of the space battles felt a little repetitive of the first book, being similar situations. However based on the world Nuttall’s built its hard for these situations to not develop as they have. The book definitely feels like a middle book as well, with Nuttall holding the cards close to the vest in regards to the aliens – keeping the characters and the reader in the dark as to what their purpose is. I keeps me wanting to read more, but I’m going to need something more substantial in the next book or I might write an unfavorable review. There is a lot to like in the book though, for instance the Royal Marines are especially fun. If you have Prime, I suggest picking this up from the Lending Library, but its also worth the $3.99. Ant-Man… Marvel superhero with the ability to grow and shrink in size (I had to check Wikipedia for a second just to be sure) and star of the upcoming film Ant-Man. 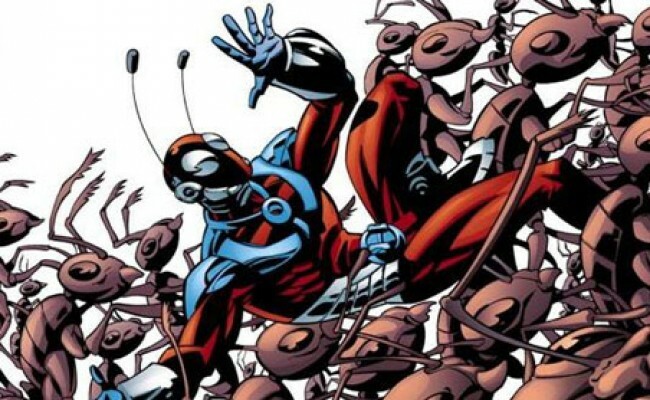 There are several problems with Ants (as like to call him) the foremost being nobody knows who Ant-Man is. Well that’s not true, he has his fan base and he is a founding member of the Avengers. However after umpteen years and who knows how many events in the Marvel universe, does that really matter? The second problem is this film… it has no director. They had originally tapped Cornetto Trilogy director Edgar Wright to write and direct; they had even started filming. Then about a week ago he left and they haven’t been able to replace him (nor should they). The rumor was Disney, who owns Marvel, had a new script written that tore the heart out of the film for Wright. So that leave us, the potential viewers, wondering if this film should even be made. I’ve liked Wright’s movies, so I’m sad to see him go. I greatly enjoy what Marvel has done with their comic book movies. But Ant-Man doesn’t carry any real weight with me and there is a second, lesser script. I think Ant-Man should go back down… to the ground… to get out of the way for far more interesting characters have their films made (Shmee would probably suggest Power Girl). I don’t see our hero escaping this one! Let’s do a word association game. Ready? Hard… rock. Cut… paper. Bread… toast. Cute… Batman. Sorry, my association with the word cute has been skewed forever by the fantastic webcomic JL8 by Yale Stewart. 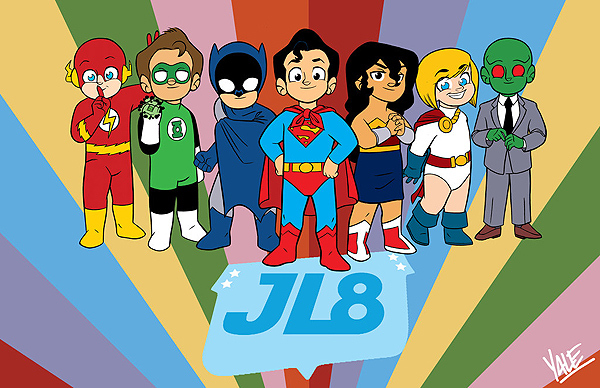 Imagine of you will, all of the DC comicbook superheroes and villians are eight-years-old and attend Schwartz Elementary. Awesome, I know. Yale captures the essence of these heroes whilst having them deal with the life issues of little kids and it’s great! Batman broods alongside his best friend Superman, The Flash and Green Lantern get into all sorts of hijinks, and the Martian Manhunter is the new kid. I’d read from the beginning, but the current story arc has Green Lantern inviting The Flash and Martian Manhunter to his annual camping trip with his Green Lantern Troop and the search for Bigfoot. Also, Sinestro is a jerk. SURPRISE! I’d be doing him a service. He’ll thank me later. Over Memorial Weekend the family Paladin traveled south to that terrible place of bridges and confusing freeways, Portland, OR. To pass the time my brother taught us three new games you might like to check out yourself. 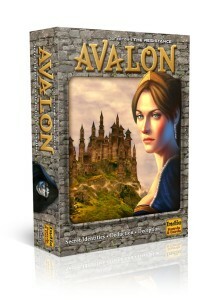 The first is The Resistance: Avalon or as I like to call it Mafia with fancy cards. It goes by other names as well, such as Werewolf or The Resistance since all of these games are the same basic mechanics. It’s a party game, so you need 5-6 people to make it fun. To begin players are given role cards, telling them they are loyal followers of Arthur or evil servants of Mordred. Only the servants of Mordred know each other while the rest of the table devolves into paranoia and fear. The goal is for either group to complete three quests, with the servants of Mordred playing fail cards and just generally being sneaky. You learn a lot about the people you play with, like my wife and brother are not to be trusted – EVER and that my sister will always suspect my brother even when he’s done nothing wrong. I had fun playing this game, but I’m not sure I can recommend it since you can play Mafia for free with just a deck of cards (rule http://www.princeton.edu/~sucharit/~mafia/oldmafia/rules.htm from Princeton no less!). Avalon does add some extra role cards like the Merlin card, but I didn’t feel like they added much to the game to make this a must buy. If you like nice themed cards with printed rules instead of a deck of playing cards and rules passed down via oral tradition then Avalon is a great game, I just like free. The second game is Love Letter and it’s fabulous. It’s one of the few games my wife has walked away from and said we should buy (this has only happened like twice so it’s a big deal). 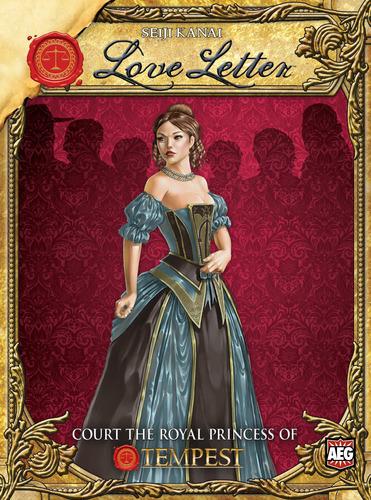 In Love Letter you are trying to win the favor of the Princess by outmaneuvering your opponents. You start with one card and on your turn you draw a second one; now you must decide which one to play, weighing things like using the lowest pointed Guard card to guess at one opponent’s hand or go big with the higher point Prince forcing another opponent to draw a new hand but leaving yourself exposed. You can get knocked out of the game almost right away and while this can seem super unfair, yet in reality you’re hardly out of it for long since most rounds lasts five minutes and you are going to be too busy to notice because you’re watching how the whole thing turns out. Love Letter is going into our collection and it should be joining yours as well. The final game is Marvel Dice Masters: Avenger vs. X-Men, a mouthful of a title for a game with a mouthful of dice. 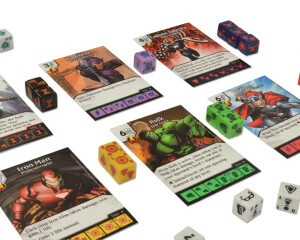 MDM:AvXM is a collectable card game (CCG) that uses Marvel’s famous superheroes like Captain America, the Hulk, and Wolverine. Each hero has their own flavor and powers that they add to your team of six cards, but most importantly they give you a set of themed dice. I loved rolling Storm’s clear blue and Hawkeye’s purple dice to gain dominance over my brother’s yellow and red Iron Man and black themed Nick Fury. The other great part about the dice is there is no bad roll, you can reroll or use what you got in different ways – allowing a guy like me who can consistently roll 1’s to not be frustrated that the fates have abandoned me. The rules can be a little daunting when you start, so it helps to play with someone who knows what’s going on or to set aside an afternoon to play several games and experiment. The other downside is this game is super popular and has sold out almost everywhere. I think I picked up the last copy in Bellingham the other day, so you can either pay $50 online or wait for the $15 second printing. It’s a fun two player game, with lots of strategy, and more importantly dice so I recommend it. Whew, this review stuff is hard. I’ll just sneak out. This can be our little secret, OK.
No, seriously don’t tell him.